“SSL prioritizes the same truly important things that we do." 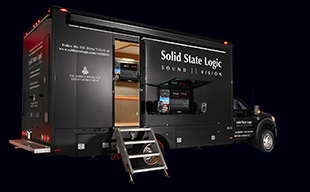 NASHVILLE – Solid State Logic is proud to begin the roll out of the U.S. reseller network for SSL Live consoles with the appointment of professional audio equipment and services company Spectrum Sound. The announcement is the first of many with a steady stream of industry leading rental and resale providers preparing to join the SSL Live reseller network. Spectrum Sound has been serving the Live Sound industry for nearly 40 years and is well known for providing quality products, systems integration and support. "We are very excited to be a part of the SSL family and offer the new SSL Live console to the marketplace," says Ken Porter, founder and CEO of Spectrum Sound. "Because SSL is a musician-owned company, it prioritizes the same truly important things that we do here at Spectrum—sonic excellence, high build quality, flexibility and dependability. SSL's heritage of good British engineering and manufacturing delivers consoles that work and sound the way that our customers require." "We are thrilled to partner with Spectrum Sound on the SSL Live," says Jay Easley, Vice President, Live Consoles, Solid State Logic, Inc. "Ken and his team represent superior sonic solutions, and we are proud to be a part of that signal chain."